Barneys farm auto sweet tooth seeds available now! Barneys farm auto sweet tooth seeds are now available from the dope-seeds seedbank. Auto sweet tooth is an autoflowering strain so begins to flower after 20 days regardless of the hours of light and goes on to finish within 8-9 weeks. Auto sweet tooth is an indica dominant cross of ruderalis and sweet tooth. 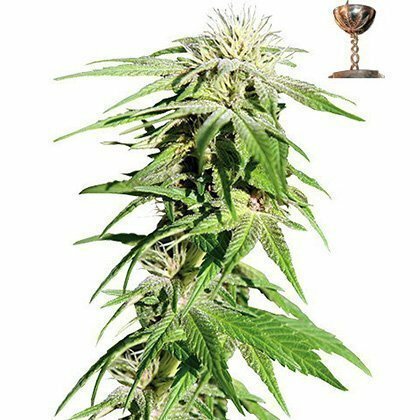 Sweet Tooth Auto grows compact, and short (about 50cm) with immediate-flowering and abundant bud production, with yields of up to 200 grams per plant. It is a full bodied plant that requires very little skill to grow, and guarantees a heavy harvest of high quality. The stable genetics ensure that sweet Tooth Auto is resistant to pests and diseases. The taste and fragrance of this resinous variety are earthy, charming and highly agreeable. The intense body-high is very pleasant. Sweet Tooth Auto is a must for all Indica lovers, not at least for its tremendous yield.